Sign up for the Ellison Blog and get our latest inspiring news, special savings and more! We’ve all heard the term “mindfulness” as it seems to be the hottest trend in terms of happiness-boosting strategies. It’s growing in popularity and is used more frequently in classrooms. In an extremely busy world, mindfulness can help eliminate distractions and be beneficial for both students and teachers. But for anyone new to mindfulness, here’s a brief introduction! Mindfulness is essentially paying more attention to the present moment - to your thoughts, feelings and the world around you. It’s an awareness that occurs when you focus on the purpose of what you’re doing. Mindfulness can help us understand ourselves better. There are both physical and psychological benefits to practicing mindfulness that will contribute to focusing your students’ attention. See some of the benefits along with classroom activities and ideas to promote mindfulness below! Sources: Parade, Getting Smart and Parade. Creating a calm learning environment for your students can have a positive impact on their learning and well-being. By using mindfulness students can self-regulate and achieve a state of calm. This in turn will increase students’ happiness. Idea: Why not designate an area of your classroom as the “quiet corner”? This can be a space to be utilized for students who need a break when the classroom becomes too overwhelming and noisy. It gives the student time and space to calm their senses and regain control of their emotions. It could include things like a pair of sunglasses, comfortable furniture (e.g., big fluffy cushions), books or even a music player with headphones. Sources: Conscious Discipline, Cricu, Garden Ideas and Grillo Designs. The classroom is full of distractions, staying focused requires attention and skill. Mindfulness can help retain students’ attention, so they get the most from their education. When students are focused their performance increases. Mindfulness can allow them to discover their creativity and improve their communication skills. Idea: End each lesson with a “mindful moment.” Encourage your students to close their eyes, take deep breaths and reflect on their previous lesson. This will allow students to gather their thoughts and redirect their attention ready for their next lesson. Sources: Volume One, Time HD, The Psychologist and Educir. Mindfulness can help us to understand how our thoughts and emotions can influence our behavior, being aware of this can help us make more conscious decisions. When students are self-aware they can make choices based off of that self-awareness, this will help avoid conflict and situations in the classroom that may get them into trouble. Idea: try classroom activities that will promote self-awareness. An effective activity is the “things that bug me.” It’s suitable for a wide variety of ages and it allows students to focus on their thoughts to become aware of them. You simply use a bug shape and ask the students to write what “bugs” them. Identifying these “bugs” will allow the students to make conscious decisions. Ellison Education offer a ladybug die which would be perfect for this activity! Sources: Pinterest, Learning Works for Kids and Parent Tool Kit. Children can experience stress, even if childhood seems like it is carefree. Stress can impact their health, happiness and grades! Using mindfulness can help students learn tools for stress management that can be transferable to different stages of their lives. Idea: Why not create a “worry box”? 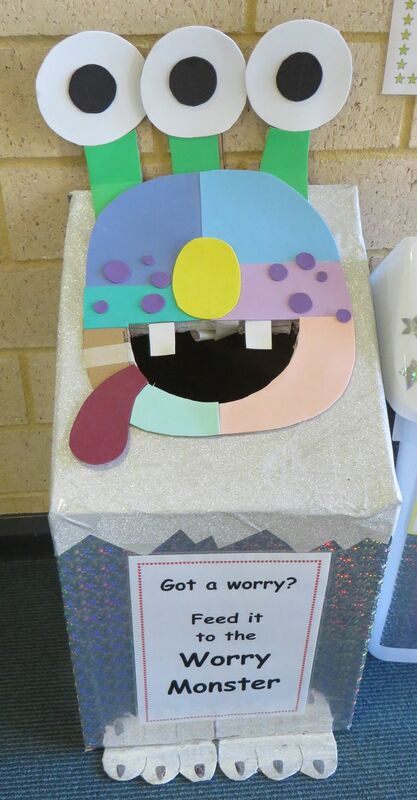 This is a place where students can write down their worries and place them in the box, where they will be left behind. Or, engage in 5-minute fitness activities at the beginning or end of each day as a fun way to relieve stress! Sources: ETFO Voice, Sacred Heart Gateshead and Pinimg. What do you think about mindfulness? Let us know in the comments below and make sure to stop by our Facebook, Pinterest or Instagram pages to keep up with the Ellison team!